Apologies for the grody garage door. However, at the time, I felt it suited this grungy outfit of mine! Also, what do you think of the GIF inclusion? I felt it about time I started incorporating those, as I've always loved seeing them on other blogs (I'm looking at you, Mili). 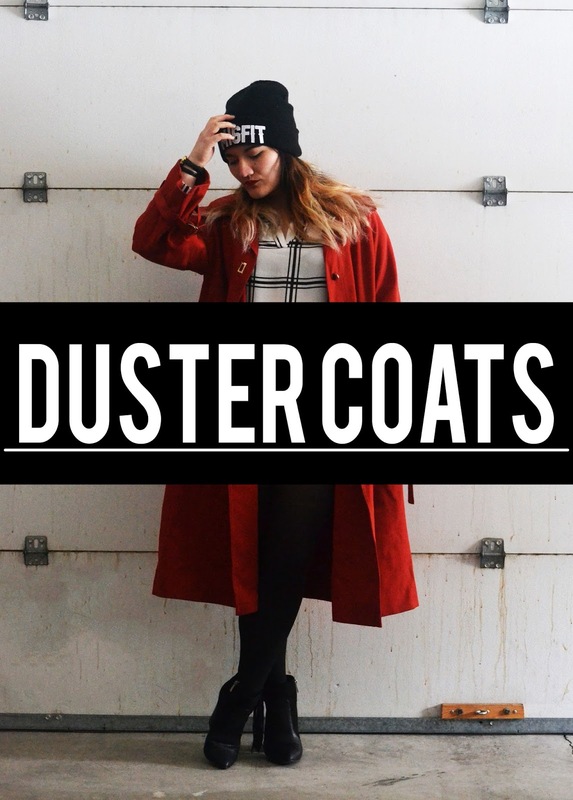 Lately I've been having an obsession with oversized, way too long coats. 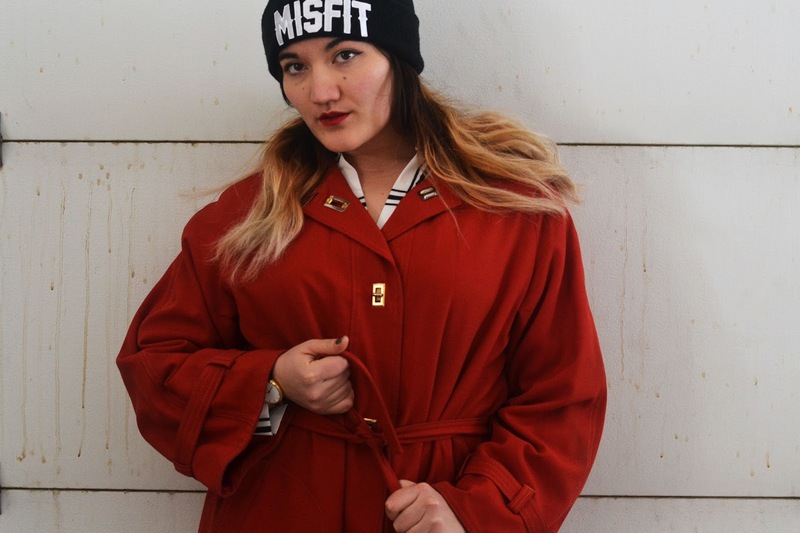 I finally thrifted a couple of them, one of them being this daring red coat! Snagged it from Goodwill for $2.50. As far as life lately, I've been freaking tearing my hair out mildly stressed out. 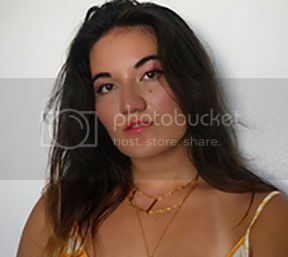 This semester is going to be a grueling one, and it's off to a rocky start as I've realized one of the photography classes I've signed up for I've basically already done at my last college. However, for some reason, the credit didn't transfer! I'm meeting with an adviser next week to figure out a solution, but I'm hoping I don't have to retake it - it's an expensive course because we have to buy so much of our own equipment. I'd rather not waste a bunch of money if I don't have to! Hopefully things get figured out, but until then, I'm daydreaming of the holidays when all I did was lounge around home in oversized coats and pose in the garage.